I can hear your questions through my computer screen this morning asking where the heck I’ve been lately. I’ve tried desperately to keep up with my YouTube posting schedule as well as my blog and social media accounts, but honestly… Life happens. 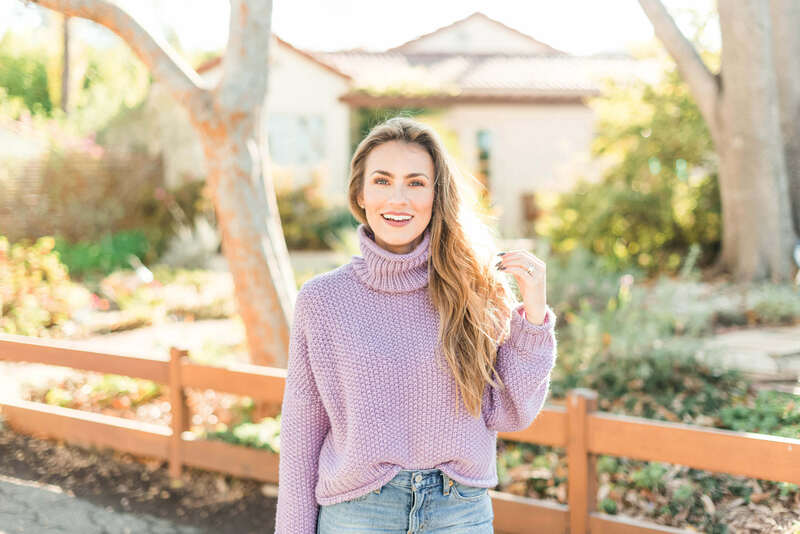 I’ve had this amazing sweater (and several other great looks) ready to share with y’all for weeks now but life has been moving at light speed… Which is why I wanted to give you an update and share what the past two months have looked like in my world. In January, we purchased a new house in LA and put our home on the market. That would be a normal life event for most people, but we happened to be living in Vancouver, BC at the time. Basically, we’re nuts. Speed ahead to middle of February. Matt finally wraps on Season 1 of Timeless, just in time to get back to LA and move into our new house (our other home had sold). Instead, he booked Pitch Perfect 3, and finds out he has to go almost immediately to Atlanta to begin work on that film. Tuesday: Matt films his last Timeless scene, wraps late that night. Wednesday: We drive our loaded-down truck to Seattle to meet our friend Jesy. Jesy picks up truck to drive to LA, we get on a flight and land in LA that evening. Thursday: Packing crew arrives at our home EARLY in the morning (we weren’t even unpacked yet from our Vancouver bags). We get the keys to our new home. Notice a strange odor in the master bathroom in old home, don’t know what it is. Friday: Odor in the old house is stronger, Matt determines it is coming from the attic. Matt leaves to start work in Atlanta. I begin losing my mind. Saturday: Moving crew arrives early in the morning, move everything into new house. I’m completely overwhelmed, have totally lost my mind, start to unpack the house alone that night. Sunday-Tuesday: Packing crew returns and helps me unpack bulk of the house. Truck arrives from Seattle, unpack that dang thing too. Wednesday-Thursday: Still trying to unpack the house and organize while prepping for the move to Atlanta. Also had several meetings/events to attend for my short time in LA. Friday: Matt returns home to LA. Saturday: Appliances delivered, Vancouver large items delivered. Pack to leave for two months to Atlanta. Sunday: Fly to Atlanta with Matt & Soka. Somewhere in the mix, we found out a tree rodent jumped from our neighbors fruit tree next door, on to our roof. That animal somehow got lodged in our roof/attic area and died, which meant we had to have the exterminator out to remove all of the attic insulation and replace it. In our +6 years of living in that house, nothing had ever happened like that before. Of course it would happen in all of our craziness while Matt was gone. The new homeowners thankfully moved into a home with a fresh new attic space and we had +$6,000 less to our names. It is what it is, right? To add to the insanity, I decided that this would be the perfect time to start fresh with furniture. This means, we only take the mattresses and formal living room furniture, everything else we’ll buy new. I didn’t think this one out… We have a house with almost no furniture and full of our personal crap. I did make one big decision though. While here in Atlanta, we bought our new family room sofa and had that delivered. That was a big accomplishment for me. I have an extremely hard time making decor decisions, I second guess every single thing I do, to a fault. I buy things, return things, replace things, return things… It’s a vicious cycle that I can’t seem to break. Since being in Atlanta (which we LOVE being here by the way!) we have taken road trips to Chattanooga, Copperhill/McCaysville, Savannah, Charleston and Thomasville. Every time we get a chance to travel, we hit the road. I also went home to Ohio for a long weekend and we spent several days in Washington DC. Basically, we’ve been on the move nonstop. Our time in Atlanta is coming to an end very soon and I’m so sad to be leaving. I would 1000% move here to the South in a heart beat. I still have travel coming up- NYC next week, then we’re headed to the beach for a much needed week of relaxation. I’m planning to get on track with a posting schedule and have enlisted some help to keep me more organized and less crazy. My question to you- would you like to see travel guides for some of the places that we’ve visited? We’ve had such amazing travel experiences these past two months, so I wanted to offer to post about them, if you’d like. Please comment below and let me know! Moving on to this look… First of all, everything I’m wearing (except the heels) is ON SALE! SCORE! Here in Atlanta, we’re starting to get those warmer temperatures, but up North, it’s Spring, but it’s still chilly. 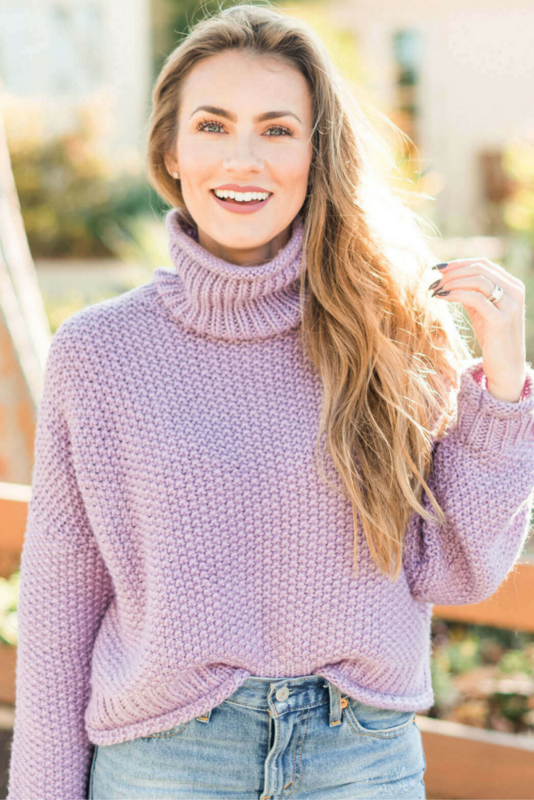 This beautiful sweater is the perfect piece to wear on those in between weather days that are sunny, but not warm enough for a simple tee shirt. 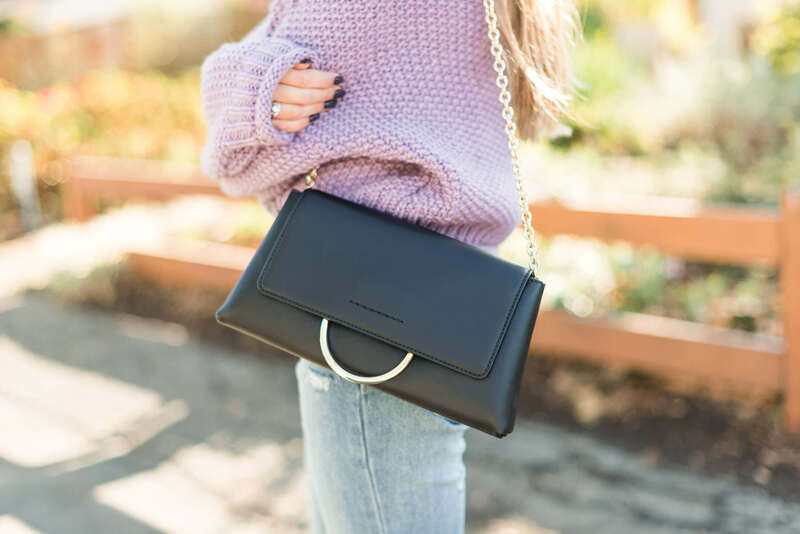 Paired with my (favorite) cropped denim, this outfit makes for an adorable casual date night look. Honestly, I’d wear this look just about anywhere, I love it so much! PS- Whew! I feel better after venting my life’s story to y’all. On a scale of 1 to 10, how crazy do I sound? LOL! Wow, y’all have been busy! Sounds like you’ve made the most of your time in ATL. I grew up there and don’t think I’ve traveled to most of those places. It’s so close to so many different places you can visit. We’re in Nashville now and love being back in the south after living in DC for a few years. Can’t wait to see Pitch Perfect 3! Also I would love to see your travel guides for the places you went since a lot of them are close to us as well and we’re always looking for new weekend trip ideas! We really did! We loved our time in ATL! 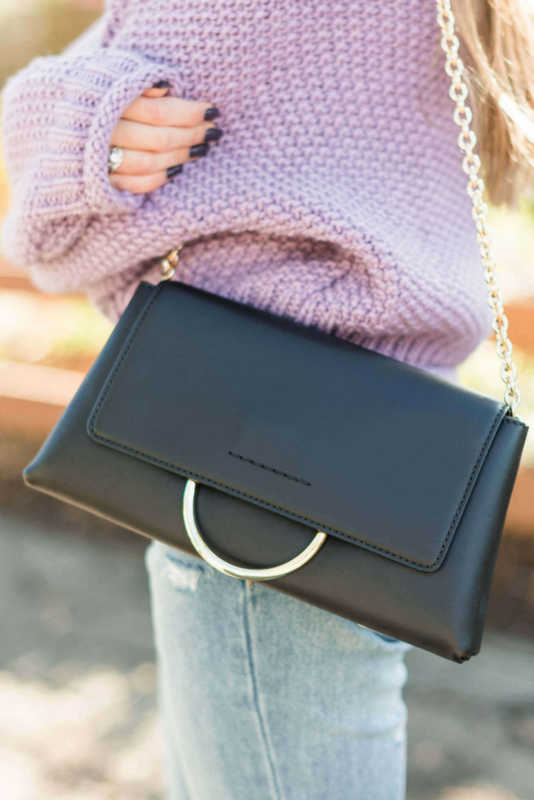 Love ❤️ your new Louis, sooo pretty. You described it really well & I’m so jealous…as you say even the packaging is amazing. Hope you’re loving your new home. ? I don’t know how you do it, but you handle everything with such grace and beauty. I truly admire you, so very much. I hope you both enjoy your last bit of time in Atlanta and get settled into your new home soon! I’ll be praying for y’all to have safe travels! But, please before you leave Atlanta can we meet up and become friends?! I am only a 3 hour drive away from Atlanta! Haha, and you could always have a friend in the South! 🙂 Take care and stay beautiful! Cheers! You are TOO sweet, Mary!! Wow, you have been one busy women! Angela, make sure you make some time for yourself, even within all the craziness and maddness. I would love to hear all about your travels and adventures. Looking forward to all the travel ideas! ? I sure have lol! Thanks, Mante! Travel guides would be lovely! I’d enjoy reading about your fave places to see and eat in the south! Georgeous when do you sleep ?! ? Your husband married the right woman …you just love life and all of your adventures ! So sorry to hear about the fruit rodent ?… what an expensive “nap” he took .. Your a wounderful story teller . Haha I have to get my 8 hours or no one around me is happy LOL! Wow, you have been busy! Sounds like it’s all (aside from the rodent situation, ?) been good things though! Congrats on the new house, btw. I would love if you shared some travel guides, it’s been so fun seeing some snippets of your travels via IG and IG stories. Hang in there during this busy season of life and have fun on your beach vacation, you definitely deserve it!! Sounds like a crazy adventure! My husband is military and this sounds like what happens when we’re between duty stations. Leaving one house and trying to get it cleaned, moving into a new house, movers and boxes and travels to various places in between. We’ll be doing it all again in 5 months…only we don’t know where we’re moving yet ? My hope is in God! He already knows where we’ll move, has gone ahead on our travels and knows about all the little surprises, like fruit rodents. ? Oh girl, I don’t know how you do it! You’re a superstar having to move on the regular! Thanks Emily! We loved our time there! Hi Angela! I’m so glad you’re enjoying Atlanta. I live about 2 hours from Atlanta and try to go the city any chance I get! I would love to hear about your traveling and any traveling tips you have. I hope you and Matt enjoy the rest of your time in Georgia! stop complaining, just be grateful you are so blessed and that God has been so good to you. Don’t have so much attachment to material things, you need to practice being more mindful in the moment, get back to making time to meditate on God’s Word, and be grateful for your marriage and Matt. Every day ask yourself the 5 questions, 1)What am I grateful for? 2) What did I learn yesterday? 3)How can I brighten someone’s day? 4) What is the one thing I love about my life? 5) What is the one thing I am excited about? I got those from Facebook and that person got those from someone who lost her job, had cancer and her parents died. Focus on gratitude, and love and God and relationships, the rest doesn’t matter. Gratitude! and God above all else! Your comment doesn’t reflect a very healthy or balanced view of emotions. Emotions are not bad, wrong or something to be afraid of. God created us with them and they are a beautiful part of what makes us human. To ignore them, suppress them or tell yourself that they don’t matter is not honouring to that part of ourselves and the way that God made us. Checking in with our emotions and not trivializing them is foundational to keeping us healthy emotionally. On top of that, invalidating or demonizing emotions can lead us to shut down our natural emotional responses and because our emotional experiences are not compartmentalized into positive and negative experiences, shutting down emotionally leaves you less able to engage and process positive and meaningful times in our lives. Feeling our emotions and validating them is a huge part of being present. It also is a skill that fosters healthy communication which involves empathy and compassion which are things Jesus modelled for us. The more able and willing we are to connect with our emotions, the deeper we can connect with those close to us. Validating a person’s emotional experiences is the first step to listening. Even if you can’t understand their reasoning or you think they are wrong. The more self-aware and comfortable we are with own emotional experiences, the more able we are to walk beside others as they go through painful or challenging experiences. This is a also a big part of practising self-love. We cannot chose our emotional reactions but we can chose to whether or not we want to act on them. That is is the important distinction to make. It takes courage and vulnerability sometimes to face our emotions and courage and vulnerability are never wasted. I became a Registered Professional Counsellor a couple years ago and have seen first hand, the damage this kind of thinking does to a person and to their relationships. I love Angela’s honestly. It takes courage to be vulnerable she is showing us what that looks like. I applaud her for her self-awareness and for recognizing and not trivializing her emotional experiences. I know, for me personally, it can be easy to assume her life is all rainbows and beautiful purses but her authenticity and genuine expression reminds me that we all have our struggles and that judging someone doesn’t get us anywhere. Angela, you are honest and real and it is privilege to be able to hear about your journey. I find that so refreshing. Thank you. Travel Guides would be amazing! I just moved back to the mid-west a few weeks ago and am itchin’ to explore the south and east cost. I love how transparent you are, it’s like talking to a close, sweet friend. Your blog posts are a highlight of my week, you’re a lovely inspiration, Angela! I definitely need to put some together! 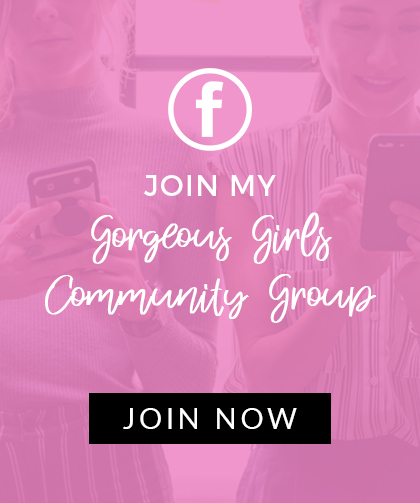 Love reading your posts and blogs Angela! It’s encouraging to know there are other crazy couples out there! We have also moved in the past few months in which, we only had a few days to organize as well before hopping on a plane for another travel week or weekend. I as well about lost my mind during this time. Way too many decisions to be made in so little time!! Talk about anxiety on high!! I have to tell you I started the Up & Vanished podcasts and am obsessed as well. Thank you for the recommendation it has been great for travel!! I did however start listening late at night and holy crap did I freak myself out!!! Definitely need to listen during the day!!! Girl, you are not alone! The craziness is wide spread, lol! wow you have been one busy girl you made me dizzy just reading about it. I would love to read about your travel experiences I am sure you have some amazing pictures. I love your comment on how you try to keep a schedule but life happens. That is exactly right! I beat myself up a lot when my blogging schedule hasn’t been consistently lately but I try to step back and remember that things come up and I just have to make the best of it for now. I would love to see travel guides of where you have been! Also, I had to laugh because I am the same way when it comes to furniture/decorating! My boyfriend and I moved in together and trying to pick things out has been crazy! I see something I like but then I’m not sure if it will go well or I’ll get something and then decide I don’t like it as much! Ugghh! It is crazy! I am a visual person so it’s hard for me to pick things out one by one–I need to see a room fully decorated as in a picture and can then say yes, I want it exactly like that! The madness never ends! Ha! I’m 1000% a visual person! And I can’t imagine ANYTHING! Um… 11 in the crazy department?! ??? JUST KIDDING!!! I LOVE that you share your life with us, and I, too, enjoy a jam-packed one! I’m so blessed by your online friendship!!! Yes, travel guides! Great look! ??? Wow! All I can say is “YOU GO GIRL”! It’s so evident that God is taking you to the places He needs you most. And the coolest part about it, is you’re answering His call. What an exciting life you have! Praying you can catch your breath soon. Keep doing what you’re doing! Hey You are more productive then me lol!